Let’s say here that western “tempered” music, to which our hearing has been accustomed to for three and a half centuries, slightly overrides natural laws and with just twelve notes, divides the octave into 12 equal intervals, the well known semitones. This was the great invention that led to the construction of the piano and allowed the development of western harmony. Although this way nothing is entirely correct, apart from the octave and (nearly) the interval of fifth, transitions (tonality changes) no longer sound out of tune. Of course, when singing or playing with fretless strings, wind instruments, (and recently electronic instruments) fine pitch adjustments can be done, thus giving a distinctive color to the sound. That’s one of the reasons that the same (theoretically) pentatonic scale sounds differently in Chinese music than in the Βlues, in Arabic than in African music and eventually, why one soloist can sound different to someone else. Untempered traditional music is based on the natural harmonics of a basic tonal note, but in artful musical traditions, we can find the 22 śruti of Indian music, the 72 Byzantine moria, the 54 of the Turkish music and so on, as well other unequally-tempered musical systems. Micro-tonic music is defined by the use of intervals smaller than the semitone and has been written by several classical composers of the 20th century, like Charles Ives and Iannis Xenakis. 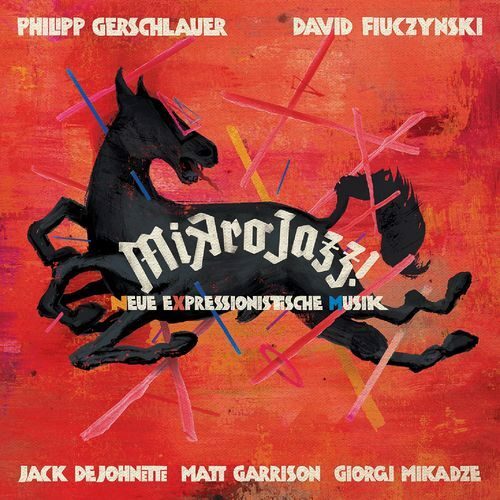 We can also find similar works in avant-garde jazz; and here comes the second protagonist, the experienced American-German David “Fuze” Fiuczynski, professor at Berklee College, with his fretless or specially crafted fretted guitars, followed by his famous friends, Jack DeJohnette on the drums and Matt Garrison on the fretless bass, both obviously guaranteeing the quality of the project. The group is complemented by Giorgi Mikadze, a Georgian New York resident, pianist and composer with a rich bio, playing, of course, microtonal keyboards. The result is amazing! Due to habit, at first, the ear catches a recognizable but “false” western harmony. Soon after, everything sounds absolutely natural and beautiful! And those rich and meaningful modern jazz compositions, suddenly gain unique personality, as the notes of the melodic lines and the chords shift microtonally above and below, intuitively and improvisationally following an expressionistic logic, some western or traditional music passages also being present, while the 76 y.o. master Jack DeJohnette delightfully embraces everything with his creative grooves, full of polyrhythms and some odd metering. In another video, Philipp Gerschlauer lets us know that he uses Hermann L.F. Helmholtz’s work “On the senses of tone as a physiological basis for the theory of music” (1863) as his theoretical basis, explains that both David Fiuczynski and himself draw inspiration from modern painting to set up their compositions as expressionistic sound-images and, finally, tells us why some day all the music will be microtonic. I have no reason to disagree with Phillip, it seems like a matter of evolution. In the grand music workshop called jazz, some inspired and skillful musicians are already working on it very seriously and soulfully!